Do you want to record your own music? Then you cannot do without a sound card. We will be happy to help you with the selection. For your better insight, we've prepared the shopping guide How to choose an audio interface. If you are a beginner and are wondering what is common among audio interfaces, then a audio interface USB audio interface with at least two inputs is standard. You can reliably record, for example, vocal and guitar or another musical instrument all at once with such a device. This type is one of the most common and will give you exactly what you need - a mobile and versatile device that is compatible with today’s computers. If needed, our experts will be happy to help you make up your mind at the telephone number 020 8089 1481 (Mon-Fri 9 am - 5 pm) or at the e-mail address . Most music is processed on computers these days. However, if we want to use a computer for recording, we need to get the sound to it. Although part of a computer is a built-in sound card, it is not suitable for high quality music recording and does not enable it technically. 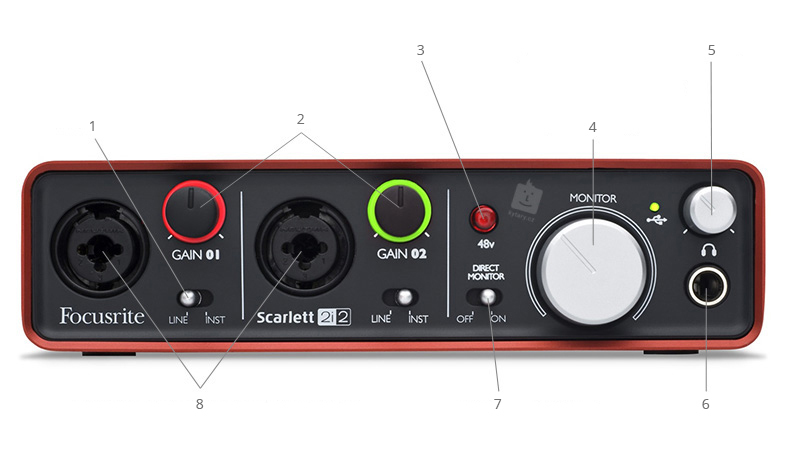 Special audio interface are not only superior but have inputs to connect instruments and microphone and are equipped with preamplifiers to amplify the signal appropriately to make the best use of the converter for changing the signal from analog to digital. 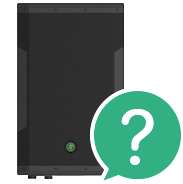 When buying audio interfaces, there's no need to worry about buying a costly device that you do not know how to connect or control. The audio interface range is very wide, from simple ones with one or two inputs and two outputs with intuitive operation to professional ones, allowing you to record an entire band live, as you can record up to 26 different sound sources at the same time. Most of them are plugged in with a USBcable and many are plug'n'play, so the computer recognizes them right after connection. Most often audio interfaces are connected via USB, although with more powerful cards, other interfaces are now being used. However, USB is a standard that is more than adequate for interface with four or fewer inputs. Professional cards with multiple inputs are connected via the interface FireWire or the newer Thunderbolt. These interfaces allow you to transmit 26 or more channels. For small home studios, such interfaces are not essential. How many inputs do I need on the interface? If you're going to record singing and guitar together, for example, you'll need a two-input interface. If you are going to record multiple instruments at once, you’ll need a multi-input interface. How does the sound quality of the sound interfacess differ? The simplest interfacess offer CD quality, i.e. a sampling frequency of 44.1 kHz or 48 kHz at 16-bit resolution depth, while higher quality ones offer a sampling frequency of 96 kHz and premium ones 192 kHz. While the 44.1 or 48 kHz frequency is usually sufficient, it is different with bit depth, which determines the quality of digitization. 24 bits is better, because the quieter sounds are then better conveyed and the mix is better. The basic accessory of the sound card are the PC / Mac connection cable that is usually included. If you are going to record vocals, you can choose a microphone with us. Those in the category of large-diaphragm condenser microphones will be great for your home studio. For additional work with recorded audio, it is good to use studio monitors, which will give you a clean reference listening like studio headphones. There is usually no need to buy a program for a card to record on because simplified versions of professional sound recording programs such as Cubase or Ableton are usually included in the package. You will find full versions of these programs here. If so, then nothing will stop you from starting to play :-). If you still feel any uncertainty about your choice, please do not hesitate to call our toll-free line 020 8089 1481 or contact us at the e-mail address . Our colleagues would be glad to help you choose the perfect solution.